Welcome to Day 1 of 9 Days of Healthy Giveaways to kick off the New Year! 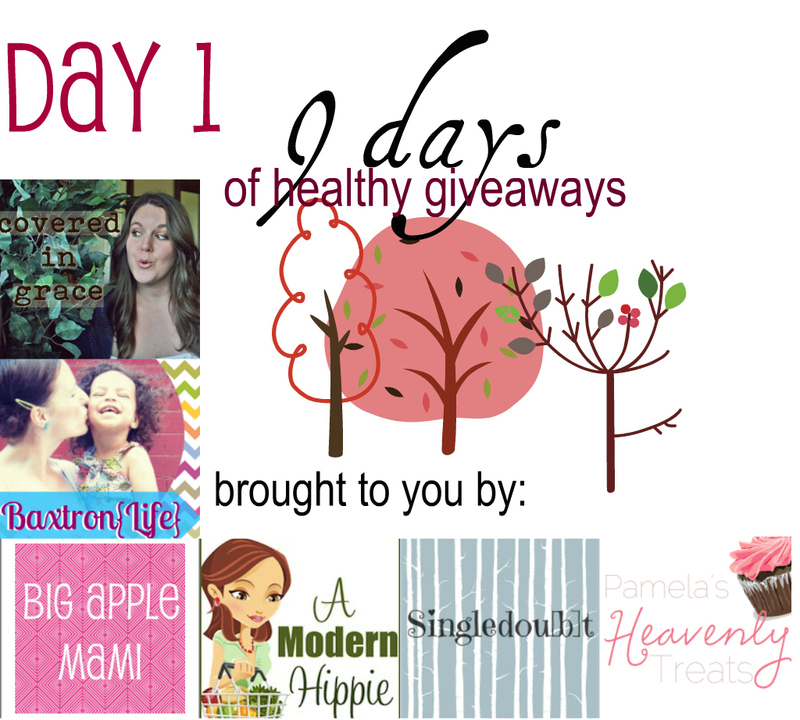 We are so excited that you're here and cannot wait to share all these fun giveaways with you!! Up first is a gift set of wonderful salts! You may remember last Fall, we had a giveaway on Big Apple Mami for Redmond Real Salt. 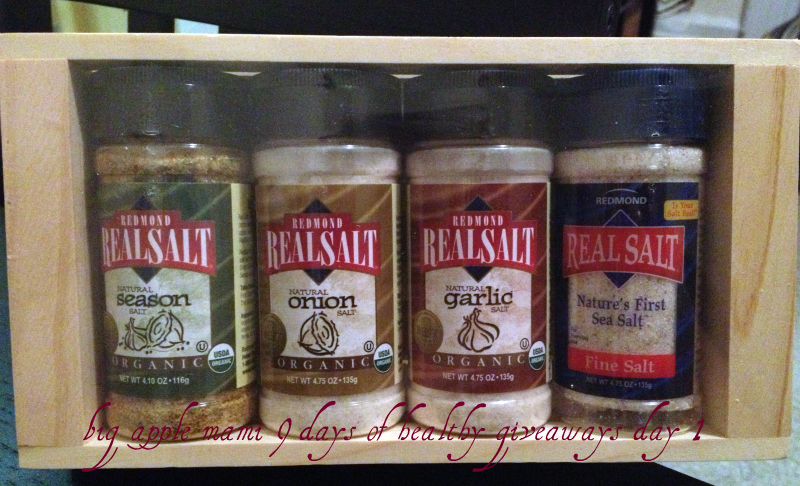 Well this giveaway includes the real salt (which I love love love) plus some amazing season salt, onion salt, and garlic salt. I've tried each of these and have loved them all. They have the great flavor of Real Salt + onion, garlic or season salt added, without the junk and it's all organic! Did you know that your regular table salt or even sea salt can have additives and chemicals? Did you know that salt shouldn't be white? These are a few of the things I learned when I first discovered Real Salt and they are the things that have continued to keep me coming back to it...I haven't purchased another salt since discovering Real Salt and I'm pretty sure I never will. I'm a believer in this stuff and love that it has so many trace minerals that our body needs. Can you tell I love this stuff? :) So, today, for day 1, two...that's right TWO lucky readers will win a wooden gift set of this wonderful salt! The garlic salt looks awesome! We use that in EVERYTHING! Garlic all the way. I'm pretty sure we use garlic in everything at our house. I would try the Real Salt Refill Pouch. I have a salt grinder, and this would be perfect for me!